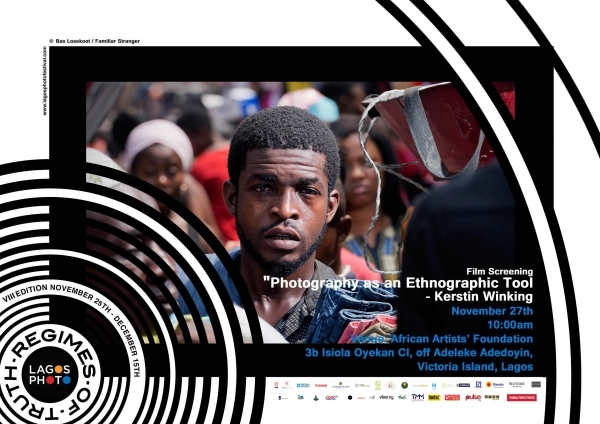 A film screening of Photography As An Ethnographic Tool by Kerstin Winking. When: November 27th, 2017 at 10am. LagosPhoto is the first and only international arts festival of photography in Nigeria. The festival presents photography as it is embodied in the exploration of historical and contemporary issues, the promotion of social programmes, and the reclamation and engagement of public spaces in showcasing contemporary photography. Its 8th edition themed Regimes of Truth will hold between the 24th of November- 15th of December.